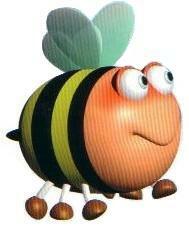 A Bee is an enemy that appears in Yoshi's Story. They appear at the end of level 3-1, Cloud Cruising, where a large swarm of them starts flying in a straight line from both sides of the screen while Yoshi rides a Dragon. They can be defeated by being jumped on or eaten. ↑ Nintendo 64 Game Secrets, 1999 Edition Prima Official Strategy Guide. Page 109. 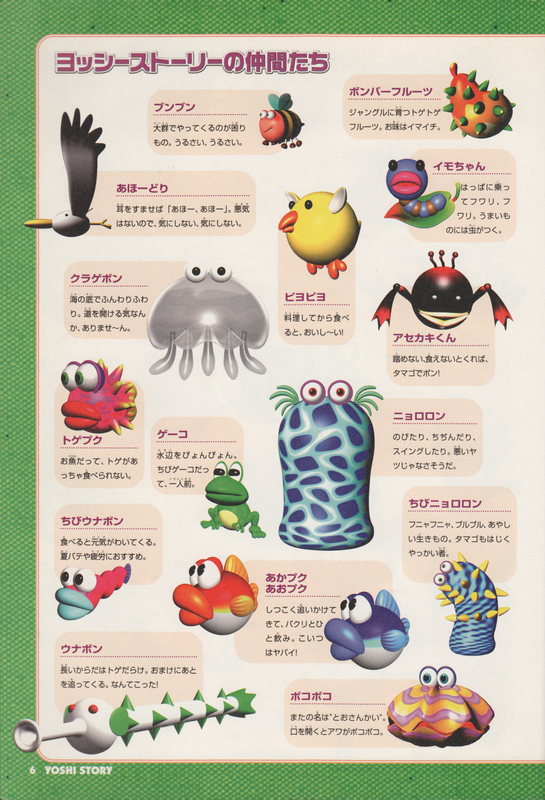 ↑ 「ヨッシーストーリー 任天堂公式ガイドブック」 (Yoshi's Story Nintendo Kōshiki Guidebook), page 6. This page was last edited on February 14, 2019, at 23:30.